What’s Your Makeup’s Shelf Life? 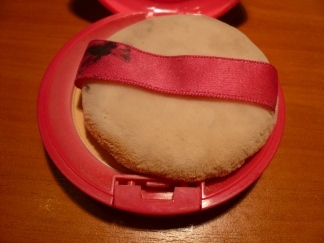 Do you know when to throw out your makeup? How old is that mascara? Wondering if you should hold on to that eyeshadow you stole from your sister in 1998? Look below to have all your beauty shelf life questions answered. Liquid makeup: 6 months – Liquids have water in them that give bacteria a great, humid place to grow. Try to store them in a bedroom drawer at room temperature, right side up. The bathroom is probably the worst place to store your makeup, since it can get rather humid during showers. Gross. This isn’t to say that liquids can’t last longer than six months, but you will notice a change in the color payoff and wearability. Just sayin’. Stick Makeup: 1 year – Stick makeup (such as concealers) contains less water than liquids but is still considered an emollient (water-based). If you do notice your stick makeup is starting to change in texture, swipe the top layer onto a paper towel to reveal the fresh makeup underneath. Powders: 2 years – Powders can last a pretty long time since they are dry. My biggest nightmare is when people use the same unsightly sponge the powder came with for years. CHANGE OUT YOUR SPONGE, PEOPLE! A dirty sponge will transfer oils that are on your face back to the powder and create unsightly “hard” gunk on the top layer. If this happens, simply take a spoon and “scratch” the gunk off, then swipe the entire top layer of the powder with a clean tissue to reveal the softer, new layer of powder underneath. I recommend using the same sponge for about two weeks. You can buy cheap replacement sponges pretty much anywhere, from beauty counters and makeup stores to Rite Aid and CVS. This means you have no excuses. 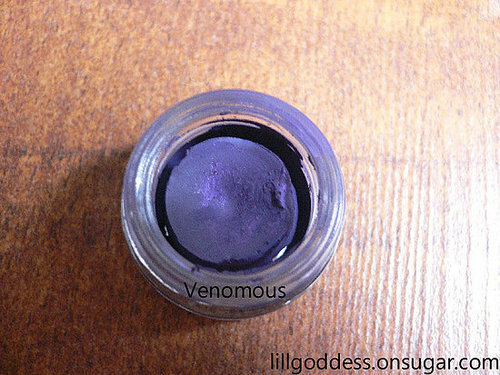 Eyeshadows: 2 years– But let’s face it, we have all kept shadows way longer than that. I actually still have some cool eyeshadow that belonged to my mom in the 80s that I still use from time to time. I think it really just depends on the quality, and that you keep it dry in a cool place. Mascara: 3 -4 months – Another reason why I hate spending more than $10 on a mascara: they dry out faster than a tree in the Sahara Desert. A mascara tube is a dark and wet environment, which is the perfect breeding ground for bacteria. The last place you want any irritation is your eyes. Try not to “pump” the wand, as this dries out your product by pushing air back into the tube. 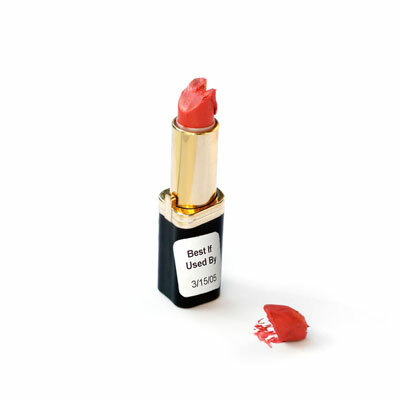 Lipstick: Some experts say 1-2 years. Others say up to 4 years. What everyone agrees on is that if it smells rancid, throw it out, it’s spoiled. Lip Gloss: 2-3 years- Similar to lipsticks, you can keep these as long as they don’t smell. I’ve kept glosses for longer, then regretted it as I twisted the cap open and singed my nostrils with the smell of death. You have been warned. 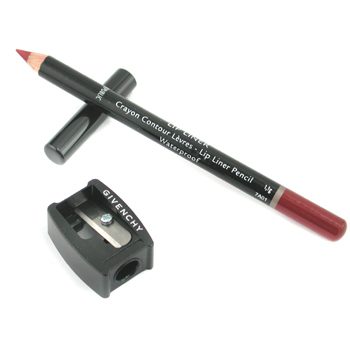 Pencil Eyeliners: 3 Years– These should be sharpened regularly, and should last you a very long time. Gel/Cream Liners: 6 months – It will be about six months before you start noticing your gel or cream liner has started to dry out. I truly hate when this happens. It doesnt’ mean it’s gone bad, it just needs a little TLC. To revive a dry gel or cream liner, simply add half a drop of face lotion to the container and mix it well with a brush. Brushes- Again, depends on the quality. If you are using brushes from E.L.F. or Revlon, the hairs will start falling out within the first year. If you are going to spend any money on makeup, the area you should splurge is on brushes. High quality brushes will last you 10, sometimes up to 20 years. Wash them every two weeks with warm water and hair shampoo (I use $1 Suave on mine). This will help keep them and your skin clean from bacteria, as well as keep the brushes in tip top shape. Nail Polish- It definitely depends on the quality. Hello Kitty $2 polish will last you about a year. I know my personal collection from brands like Essie, OPI, China Glaze and MAC have lasted me years upon years. If you are wondering whether your polish has “gone bad,” take a look at the texture in the bottle. Has it changed? Is it gluey or sticky? Chances are, you should throw it away. If you have an impressively-and unneccessarily- large collection of nail polishes like I do, and you know for a fact that you won’t get through them in two years or less, just shake up each bottle from time to time to keep it fresh. I know it’s hard to remember that neglected orange glitter polish in the back of your drawer, but if you want to get the most out of your products (and your money), shaking or rolling the bottles between your palms every couple of months will ensure they last a little longer. Another trick is adding a few drops of clear top coat to any old nail polish to give it a little life.